Want it by Wednesday 24th April? Order within 3 days, 22 hours, 24 minutes and choose Next Working Day - Kerbside Delivery (Order Must be Placed by 2pm) at checkout. Each individual prime graded lacquered board measures 90mm in width by 420mm in length. Each plank is 18mm thick with a 5mm solid top giving you the opportunity to to sand and reseal the floor on a couple of occasions and help extend the lifespan of the product. AB grade is the highest grade of flooring we sel. Its slight colour variation and low knot content provides a clean uniformed look thought your home. The product itself is superb, looks great and we can’t be happier with the overall finish. 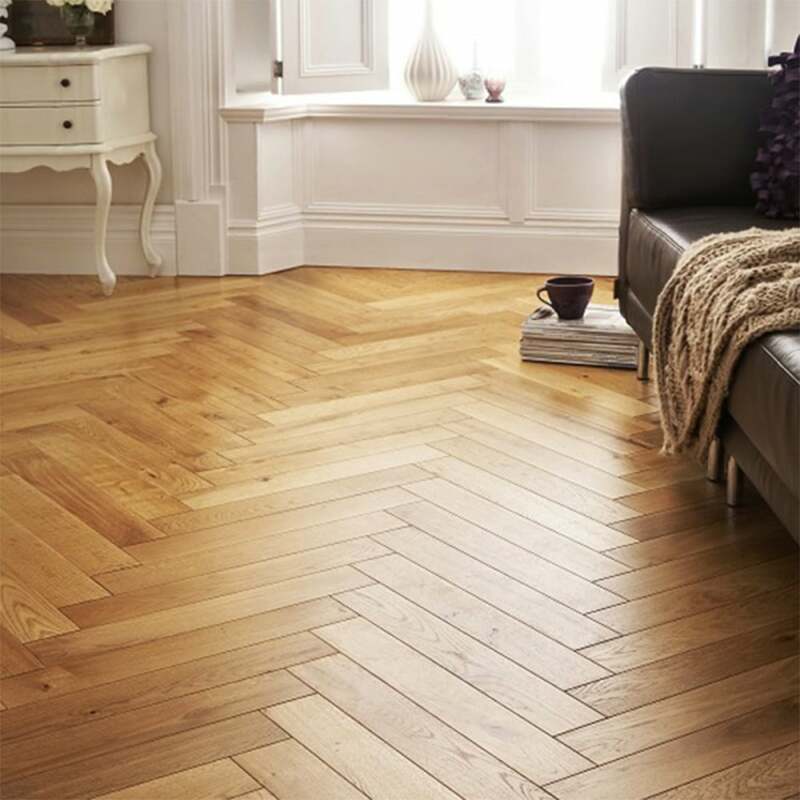 The Parquet excellent quality, robust and easy enough to fit - overall we’ve had great experience, highly recommended.